This is a brilliant work for solo alto saxophone and band. 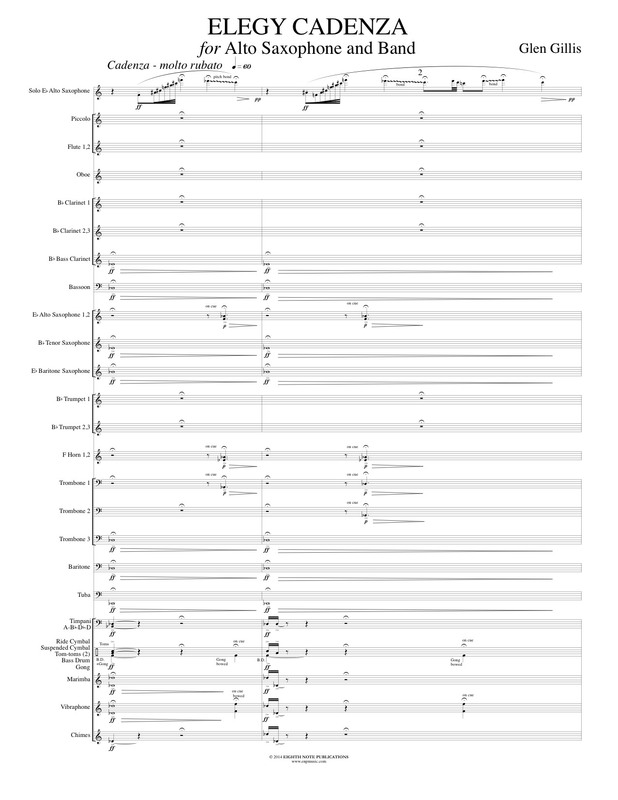 The opening section is free and segues to a lyrical and mournful melody, that also segues to another cadenza, followed by a fast bop style section. It portrays emotions of loss and celebration, and the cherishing of memories. The phrasing, alternating meters, glisses, pitch bending, and wide performance range provide interest and challenges for the soloist.